The option you need to use is Backup and not Clone, only the Backup option allow the creation of an disk image to the external disk. I used the Windows version to try and create the backup but System Backup is unavailable. 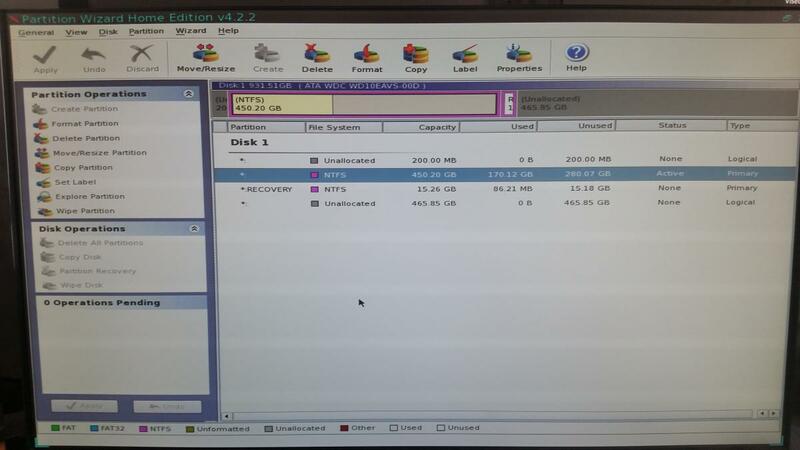 Step1 "Select the partitions or volumes you need to backup." is grayed out and not selectable. It says "The program does not find the system partition." Disc Backup lists only the USB flash stick in Step1 "Select the disks you need to backup." Partition Backup shows the USB flash stick as Basic MBR H:. My HDD is shown as Dynamic with J: partition at 450GB and K: partition at 15.27GB and two partitions marked with * just like on the Linux version of the program. None of the HDD partitions are selectable. File Backup is useless as the contents of my HDD aren't listed. We need a Plan B, Backup all the files you can't loose using the linux boot disk then follow this guide OPTION ONE to convert the disk from Dynamic to Basic Disk. Not all the tools support Dynamic discs that's the reason of all this problems! Edited by SleepyDude, 06 October 2015 - 02:46 PM. I'm wondering how did the disk became Dynamic as it's only purpose I'm aware of is to setup a single partition that can span multiple drives. Since I can't do a Macrium or Aomei backup as they can't see the HDD properly do I boot into Ubuntu from my flash drive and just copy-paste all the files from my desktop HDD to my external HDD? I have no clue but if it helps to figure out how this whole thing started I can try to explain as thorough as I can. I got the notification that Windows 10 is ready to be installed on my desktop. As this computer is about 6 years old I was very excited to get a new operating system to see if it maybe runs more smoothly than Windows 7. I proceeded to install and after the installation was complete I noticed that Windows won't fill my 24" full hd display. I played around with the new OS to see what's new and after couple of minutes Avast cleanup started and said that I have files that I should delete. I've been using it on Windows 7 and it has sped the startup and such quite well so of course I trusted it to do it's job. After contacting AMD about the blank spaces around my display they responded that my graphics card won't get Windows 10 support. I then went to settings to see if I can go back to Windows 7 and there was such a setting. I decided to go back to Windows 7 as I don't want to watch 19" content on a 24" display. Windows started to revert back to Windows 7 and when I thought it was doing some serious rebooting as in finishing all the settings I noticed that it won't even animate the Windows logo and just reboots. I tried booting into all Safe Modes to no avail. Even the Last Known Good Configuration didn't help. Computer suggested me to create the Windows 7 64-bit Repair disk so I did it. I eventually changed the boot settings to see what error code do I get and it was 07b ending error code. 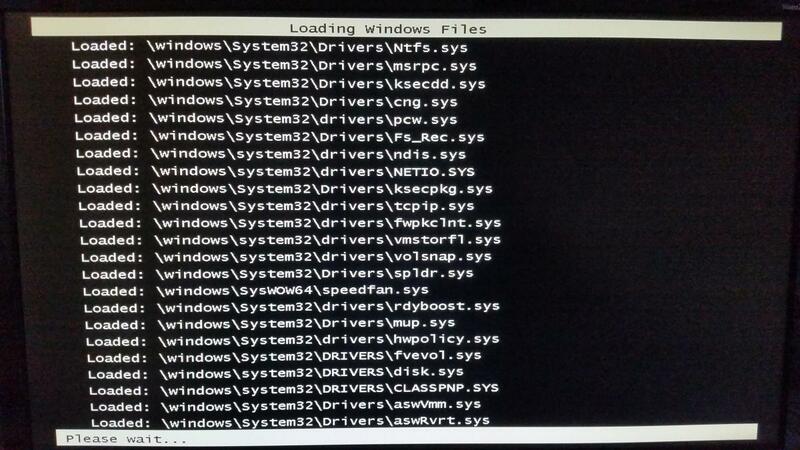 Then in Safe Mode with log enabled I saw that the last file listed before reboot was aswrvrt.sys. Then I made this thread. Yes but copy only your files (Docs, PDFs, Videos, etc) because the programs will not work in most cases and need to be installed using the corresponding installer. I did found similar cases on the upgrade to Windows 8.1, I think it happens if for some reason the HDD already have 4 primary partitions and the upgrade process needs to add another partition, because a basic disc can have only 4 primary it changes the disk to dynamic bypassing the limit of partitions. What's the next step from here? 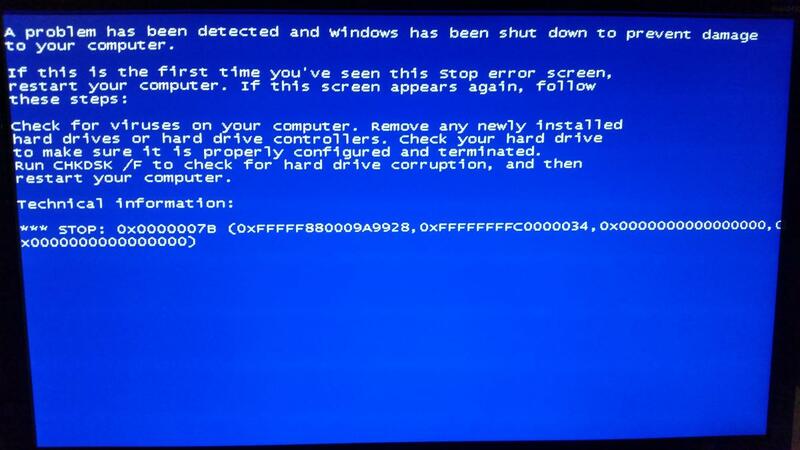 What happens now when you try to boot? The same as ever. Windows logo starts to animate but gets stuck and immediate reboot. 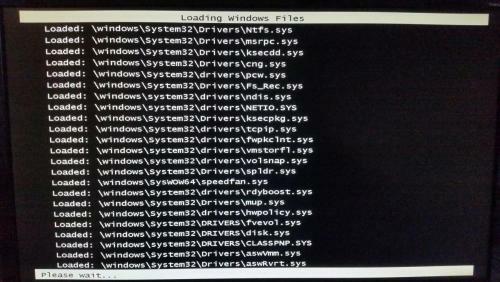 If the computer simply reboot try the Safe Mode and Last Know Good Configuration options. Safe Mode and Last Known Good Configuration both yield the same result. Reboot after getting stuck on the Windows logo animation. Change the BIOS to AHCI mode to see if the system can boot that way. If the SATA mode is changed to something different after the windows installation it usually results in a 7B BSOD. I changed the SATA mode from Native IDE back to AHCI. My listed boot devices are once again only USB:Generic drives such as USB SD Reader. If I try to boot regularly I end up with a screen saying Reboot and Select proper Boot device or Insert Boot Media in selected Boot device and press a key. I can't even get to the Advanced Boot Options. According with image you posted the OnChip SATA type option on the BIOS can have other values RAID, Legacy IDE, IDE -> AHCI try them all see if any of those option allow you to have the HDD as 1st boot device and result in a boot without the Blue Screen. I tried what you suggested and managed to boot my computer with IDE->AHCI option! Now you lost me! So you didn't use the feature included on Windows 10 to revert back to Windows 7? Restoring the image from one machine to another with different hardware usually results in a failed boot and lots of problems due to the different drivers used, etc. also Windows will deactivate the license. Did you restore a full image containing all the partitions or only the OS partition?